I was quite proud of my British Airways A380 illustration two years ago when I created it, but comparing that drawing with this 777 is a night and day comparison. The Union Jack colors on my A380 are dark and muddy, and some of the details on the aircraft itself are too bold and heavy (such as the part lines). I’ve since learned to exaggerate colors a bit, keep the shadows light and transparent, and tone town the little details as much as possible. This helps to make the illustration to look more like a photo rather than a drawing, and I feel like I’m making pretty good progress with this stuff. I’m far from an expert at airliner art, but it’s fun to keep learning and refining my craft. The flip side of all this growth is that it makes me feel ashamed about some of my older work and it’s difficult for me to resist the urge to delete it all from this blog. Of course I’m not going to do that – being able to see (and analyze) a linear path of growth and learning is an essential part of being a successful illustrator. But it still doesn’t make me feel comfortable! 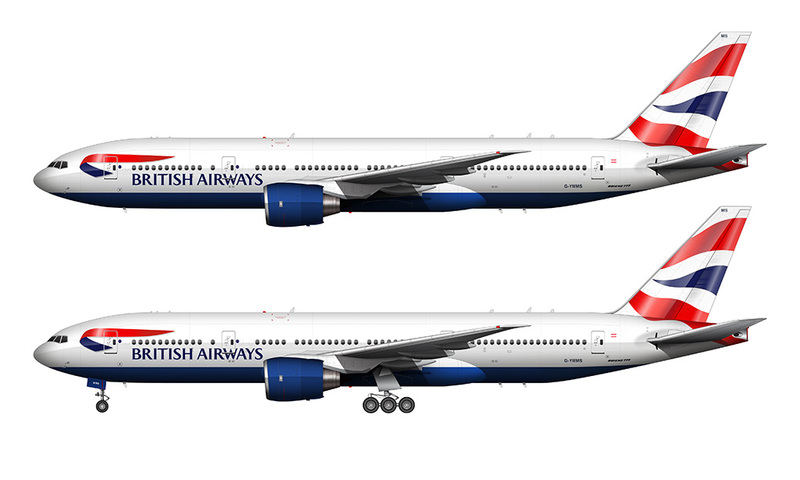 Anyway, creating this British Airways 777 was fun – and challenging. I didn’t realize it before doing this illustration, but there are several versions of the Union Jack flag on these BA 777’s. The shape and complexity of the wave is different, and the newer version is a bit more wavy with smoother highlights. 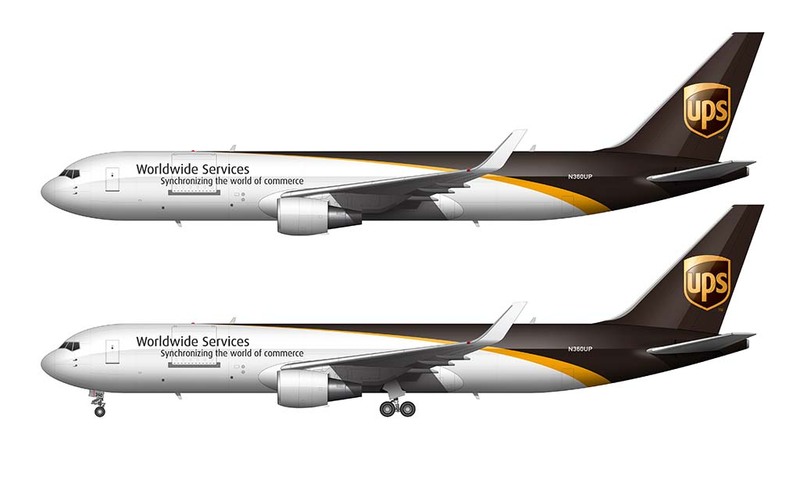 This illustration, by the way, features the older version on aircraft G-YMMS. I’m surprised they even made that change at all because I’m willing to bet that most people wouldn’t even notice that kind of thing.